Do you love to craft amazing apps ? 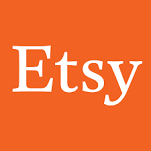 Etsy is looking for a passionate Senior iOS Engineer to join their established Native Engineering organization. In this role you will work to build beautiful experiences for Etsy buyers & sellers on Apple platforms. You will collaborate with talented team of engineers, designers, product & analytics colleagues who work together closely to support our iPhone & iPad apps. Our growing team requires someone who will thrive making technical contributions in busy environment, but loves to have fun while they do so ! Our engineers are concentrated in our Brooklyn HQ, but are located all over the US. We believe that open communication & effective teamwork can happen regardless of where you sit, & we'll provide you with tools to make sure that happens. Your laptop will come with our video conferencing software pre-installed, so you can always join in on meetings & catch up face-to-face with your team regardless of where in the world you or they are.